Andrographis is an herb used in the Asian traditional medical system (including Unani, Ayuverdic, and traditional Chinese medicine) to “clear heat” associated with fevers and infections. The herb contains bitter diterpenoid compounds (andrographolides) that have strong antimicrobial effects including: antibacterial, anti-parasitic, antifungal, and antiviral. It is commonly used for colds and flus, and research shows it is effective in reducing symptoms of upper respiratory tract infections (URTI). One of Andrographis' common names translates to “King of Bitters” which clearly shows that it acts as a bitter tonic to help increase digestive function. Historically, it has been used to treat infections of the gastrointestinal system, including diarrhoea and dysentery. 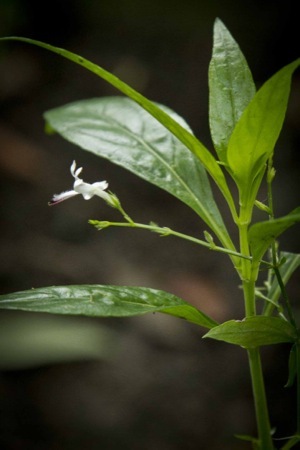 In addition, andrographis has some important anti-inflammatory and immunomodulating effects. Clinical trials have shown it may exert a positive effect on patients with ulcerative colitis.